Late in his campaign Trump frequently took to asking African Americans living in the “inner city,” “What the hell do you have to lose?” They may be about to find out. Carson’s selection is easy to mock, especially given the way Trump mocked him during their primary campaign. The eventual GOP nominee ridiculed Carson for his warnings of his own “pathological temper,” comparing him to a child molester. “I don’t want to say what I said, but I’ll tell you anyway,” Trump told his supporters. “I said that if you’re a child molester—a sick puppy—you’re a child molester, there’s no cure for that.” He reenacted Carson’s story of trying to stab a friend only to have his belt buckle block the blow. “Give me a break, the knife broke?” Trump declared, twisting his own belt buckle. It was a cringeworthy display of Trump bullying. When Carson dropped out of the race and endorsed Trump, all was forgiven, on both sides. One of the things that makes the choice of Carson painful to fair housing advocates is that hidebound HUD has made “fundamental shifts” during the Obama years, in the words of PolicyLink’s Angela Blackwell. (Full disclosure: I’m on PolicyLink’s board.) “The big shift that took place is in understanding that housing has become a proxy for opportunity.” HUD’s mission, therefore, became broader, and the agency began to collaborate with others targeting economic opportunity, to think about access to transportation, jobs, grocery stores, schools. 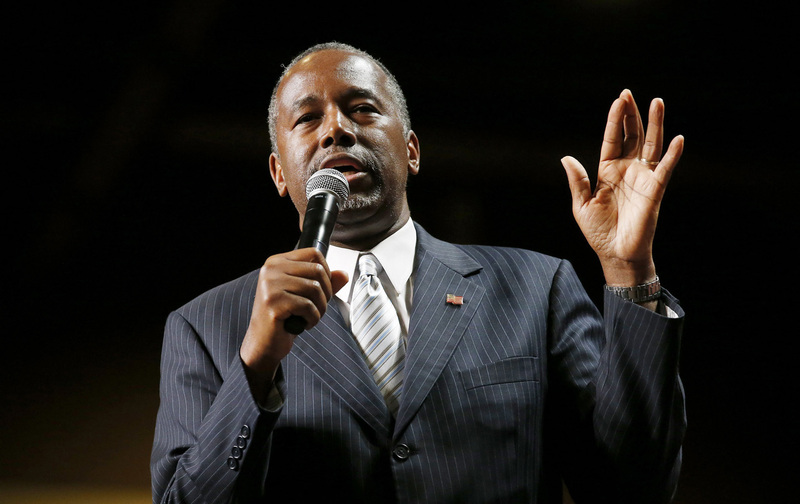 Carson attacks HUD programs as “social engineering,” like your typical conservative. He ignores that it was very deliberate social engineering that created the patterns of housing segregation and inadequate opportunities that have disadvantaged working-class and poor people of color over generations. Restrictive covenants that excluded non-whites; redlining poor areas so they couldn’t receive mortgages or insure property; highway policies that obliterated city neighborhoods and spread housing opportunity to the distant suburbs, unreachable without a car (and often inhospitable to those who weren’t white); this is what generations of discriminatory “social engineering” created, which HUD has been trying to undo for the last 50 years. Ironically, in 1973 HUD joined up with the Justice Department to sue Trump and his father for discriminating against African Americans in their rental units. It’s hard to imagine the agency mounting any such challenge under Carson. Urban historian Tom Sugrue compares Carson’s likely reign at HUD to Samuel Pierce’s under Reagan: Both men were the Republican presidents’ token black appointments, heading a department that’s largely viewed as a “black” agency (you see “urban” right in the title). Pierce oversaw the gutting of federal support for low-income housing subsidies, which fell from $26 billion to $8 billion under Reagan. He also worked to privatize agency holdings, which became a festival of crony capitalism, Sugrue writes. The omnipresent self-dealer Paul Manafort lobbied for $43 million subsidy for a rundown New Jersey project, pocketing a fee of $326,000. Eventually 16 HUD staffers and consultants were convicted of fraud for their work; Manafort was never charged. Imagine inexperienced Ben Carson presiding over another spree of Trump-inspired development cronyism using the agency’s billions. Blackwell shares those concerns, and others, but holds out hope that, since Carson “seems to be a person who’s concerned about outcomes,” he might be helped to see that HUD “can be the opportunity agency.” I admire her modicum of optimism, but I haven’t found a way to share it yet. Still, it’s possible the career employees of HUD who’ve internalized a new way of looking at housing will be unable to unlearn it, and that some of the Obama-era culture will remain. But, as Sugrue observes, “The possibilities for corruption are legion with a HUD secretary who knows nothing about the agency, its programs and its vastly complex budget.” Especially with a callous real-estate developer as president. Let’s hope Democrats don’t let Carson slip by, given that worse nominees—Jeff Sessions for attorney general, Tom Price for Health and Human Services, and Steve Mnuchin for Treasury secretary—must be fought hard. His confirmation hearing must get to the heart of HUD as a potential “opportunity agency”—and discover whether Carson is interested in offering that opportunity to low-income Americans served by its programs.